Aug. 2, 2017 4:30 p.m. Residents near 20 Mile Ranch and south of Clinton are voicing their anger on social media after what they call a “controlled burn gone horribly wrong” caused the flames to jump across Highway 97. Photos posted to Facebook on Tuesday show heavy smoke near rural properties in the Loon Lake area near Maiden Creek. “It was about 15 minutes from the time they started until the hydro transistor on the big pole blew apart and maybe a few more minutes until it crossed west onto Hwy 97,” one post on the 20 Mile Ranch Facebook group reads. Fire information officer Heather Rice said Wednesday morning fire crews were focused on holding the fire on the hill, away from the highway. Highway 97 remains closed from Loon Lake to the Hwy. 99 junction. 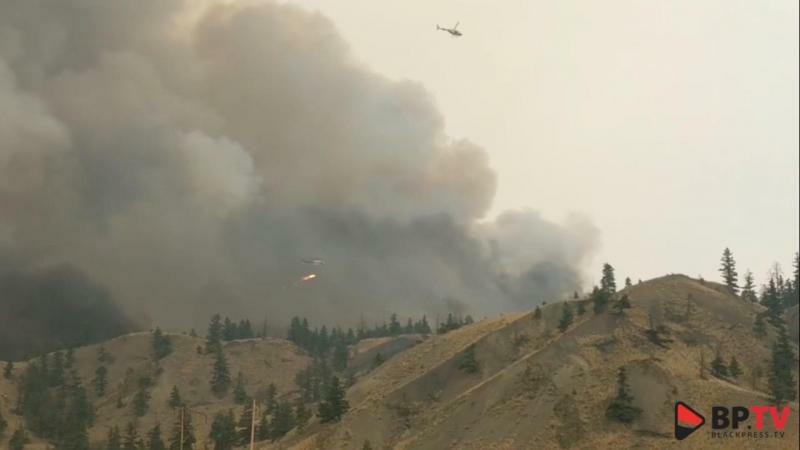 An evacuation order was issued for areas south and west of Clinton Wednesday afternoon. Chief fire information officer Kevin Skrepnek said Wednesday afternoon there had been a “dramatic and unforecasted shift in the wind,” which caused the fire spillover. “At the time it was ignited, the weather was as forecasted and a lot of design goes into when we do these things,” he said.